Scott and Rae Baldwin started this small family winery in 2001 at 17545 Archery Summit Road in Dayton, Oregon. 20 acres of estate Pinot Noir (Dijon clones) and 2 acres of Melon de Bourgogne. The winery was named after Shirley Baldwin, the matriarch of the Baldwin family whose father, Manuel de Ponte, grew grapes and made his own wine in California's San Joaquin Valley. Parisian-born Isabelle Dutartre was raised in the Côte-Chalonnaise and earned a degree in enology from the University of Dijon in Burgundy. She has been making wine professionally for over 30 years. Her impressive career includes stints at wineries like Maison Joseph Drouhin before she moved to Oregon in 1993 to assist the Drouhin family with Domaine Drouhin Oregon. Her mentor was Laurence Jobard, the head winemaker at Maison Joseph Drouhin with whom she worked for ten years. 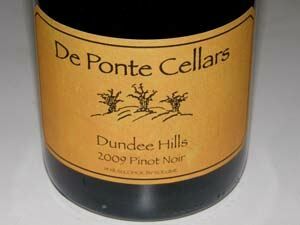 She became the head winemaker for De Ponte (duh pawnt) in 2001, moved permanently to the Yamhill Valley five years later, and shortly after founded her own label, 1789 wines. 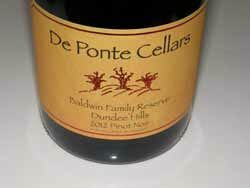 She also has a joint venture with Boss-Drouhin known as Caballus Cellars. 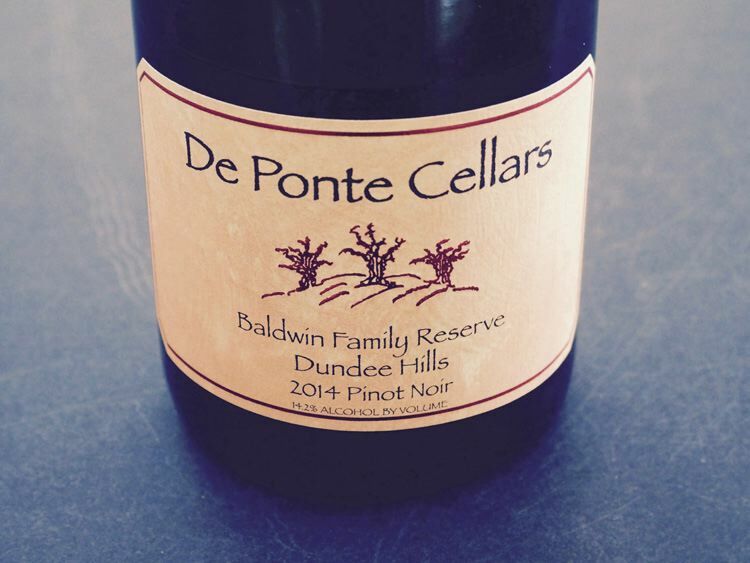 In 2007, the Baldwins bought 80 acres with an existing 6-acre Pinot Noir vineyard on Meadow Lake Road located just over the western edge of the Yamhill-Carlton AVA. Named Lonesome Rock Ranch, a herd of steers roam free-range on the property. The bovines are fed pomace left from De Ponte's winemaking process. Another 2 acres of Pinot Noir were planted in 2010. Production is 2,000 cases annually of Pinot Noir. A second value-priced label is Clay Hill. A tasting room is open Thurs-Sat at the winery on NE Archery Summit Road in Dayton. 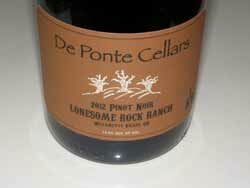 I have been quite impressed by the Pinot Noirs and this is a producer to seek out. 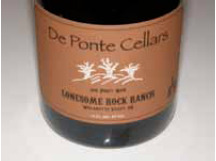 The wines can be obtained by calling 503-864-3698. Interestingly, the winery also crafts a small amount of Melon (Muscadet). In the summer of 2013, a second tasting room opened in Carlton inside the historic fire station building which dates to 1943. The facility has an outdoor patio and seating. The tasting room will focus on special events for De Ponte and other small wineries that do not have access to an event space. The tasting room will also sell the Baldwin's grass-fed beef sourced from the couple's free-range cattle ranch known as Lonesome Rock Cattle Company (wine club members only).